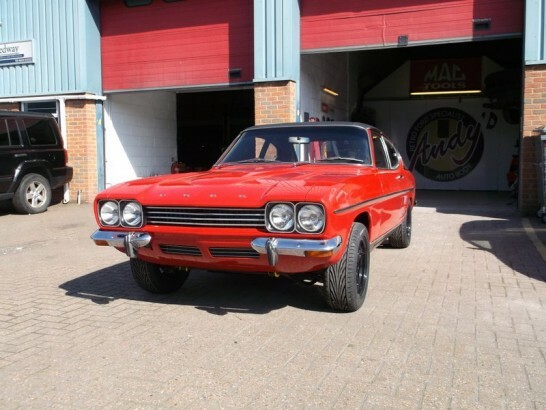 Starting out life as a 3000GXL this 74 Mk1 was shipped from the Ford factory to Super Speed conversions in Essex where it was converted into a V8, unfortunately the original customer who ordered the car failed to return to collect the Capri in 75 when it was completed. 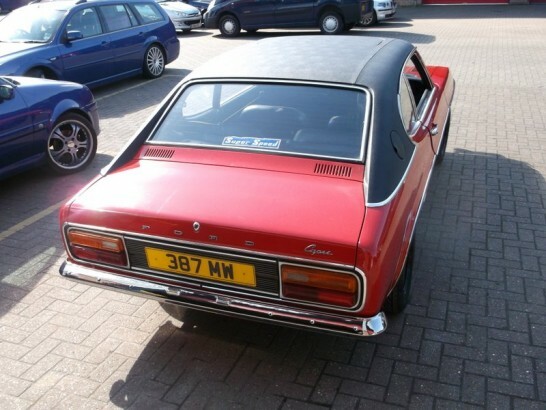 After sitting along side Super Speed Escorts and Cortinas in the showroom for years the Capri was finally sold and registered in 1979. 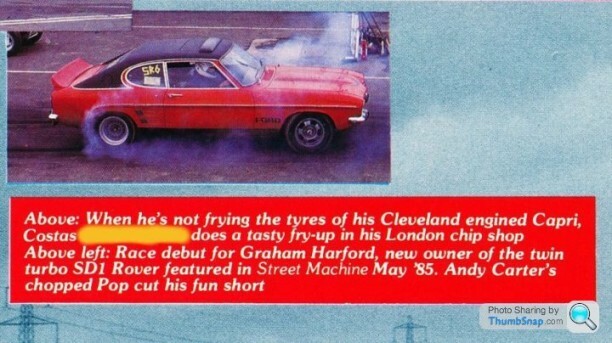 We have it on good authority that this was the one and only Capri that Super Speed converted. 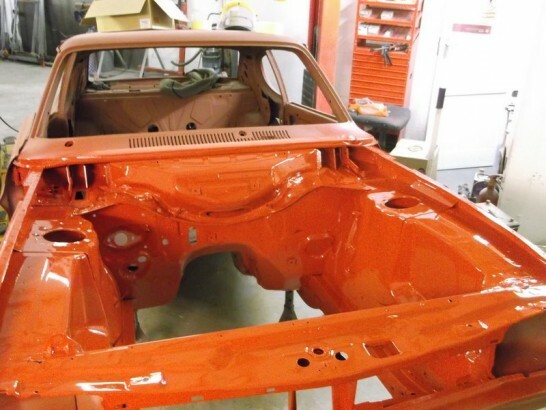 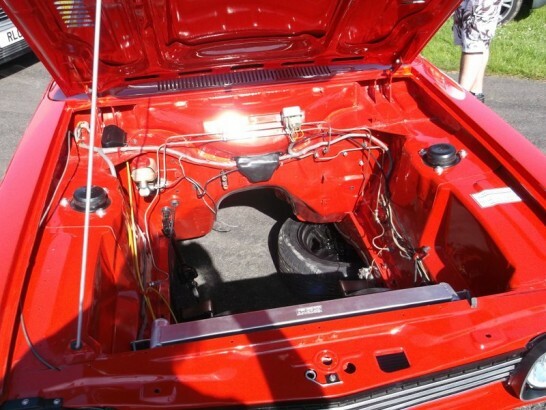 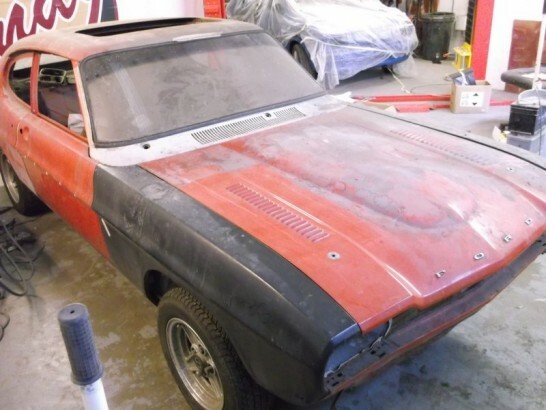 The Super speed Capri changed hands a few times over the years and under went a few alterations and upgrades before being stripped for a resto, after being stripped to a rolling shell and a few repairs it became forgotten about for over a decade and before the current owner purchased it. 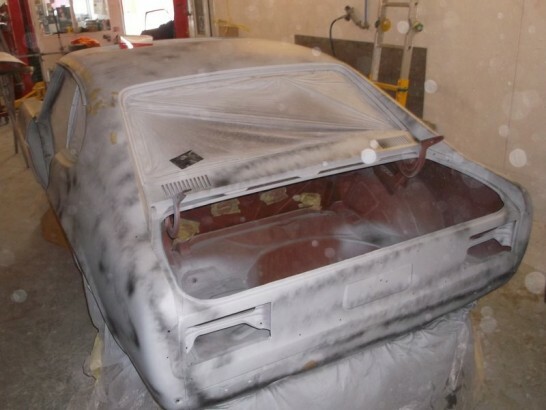 Deciding to return to it to its former glory the Capri was booked in for a restoration and upgrades. 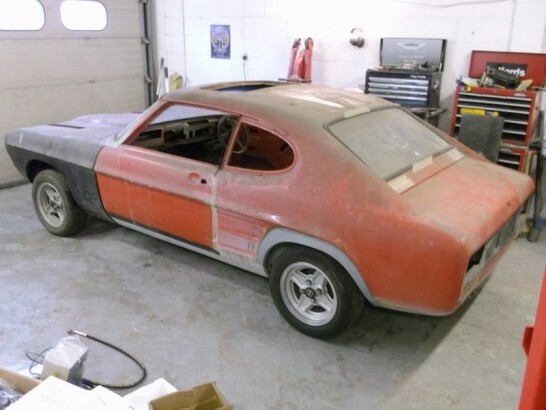 The super speed arrived as a rolling shell with new genuine Ford wings and front valance and riding on a rare set of 14″ RS 4 spoke type wheels manafactured by Pirelli. 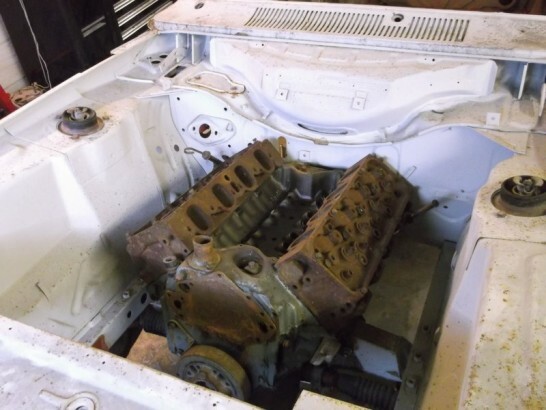 The 351 Cleaveland will be removed and shipped off for a rebuild including alloy heads and twin Edelbrock carbs. 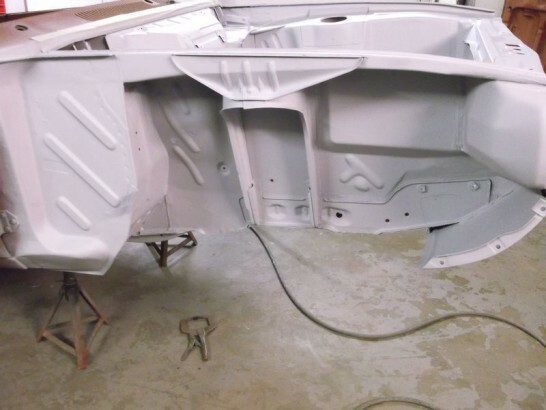 All the running gear is going to be stripped and media blasted before being powdercoated. 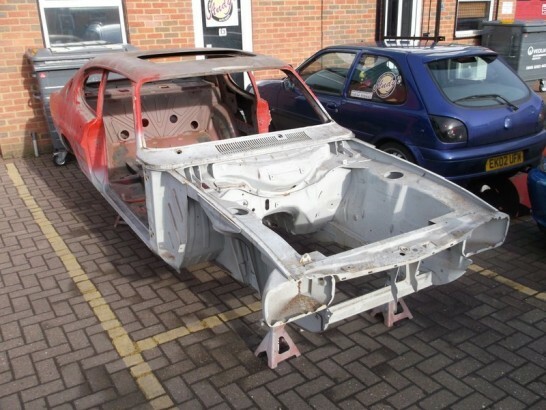 With the rest of the components stripped the shell will now be shipped off for a media blast. 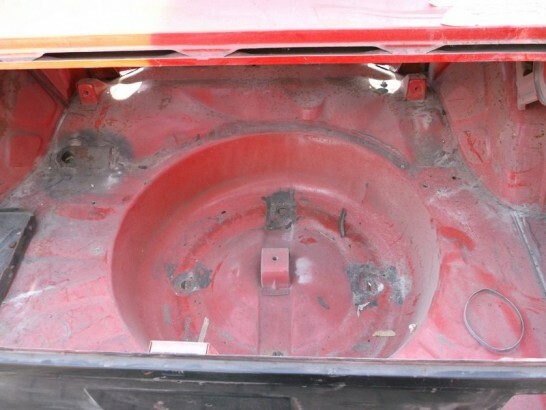 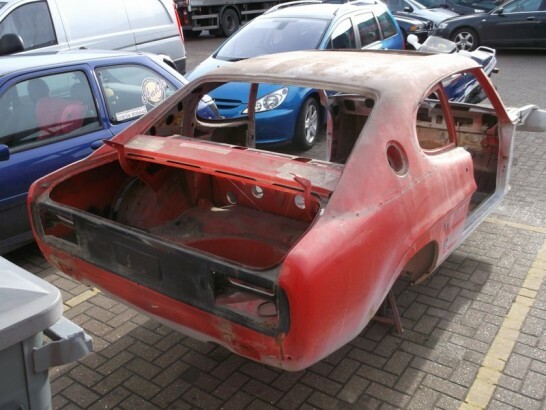 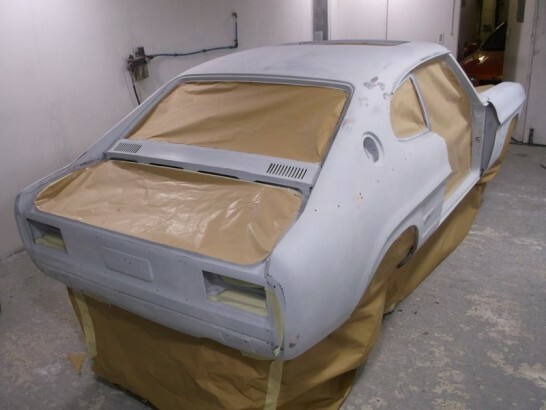 The shell appears to be in very good condition and has had a few well done repairs by the previous owner so we are expecting the Capri to return from the blasters in very good shape. 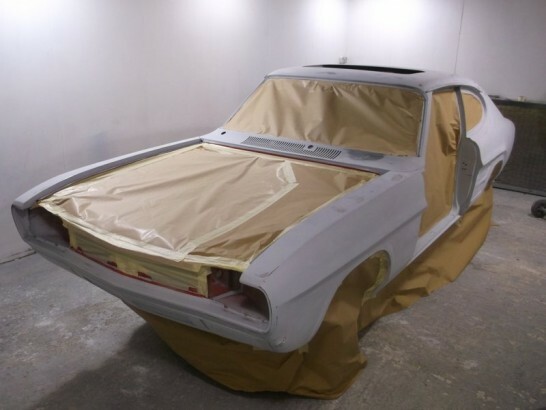 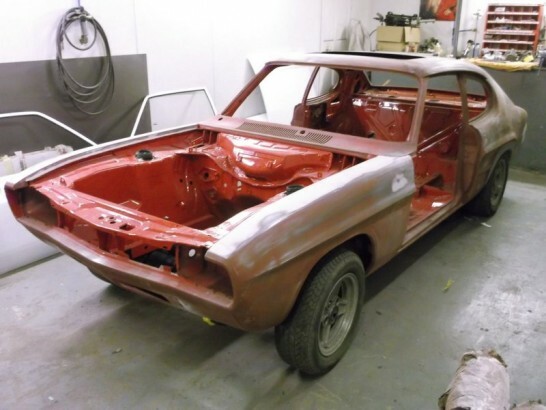 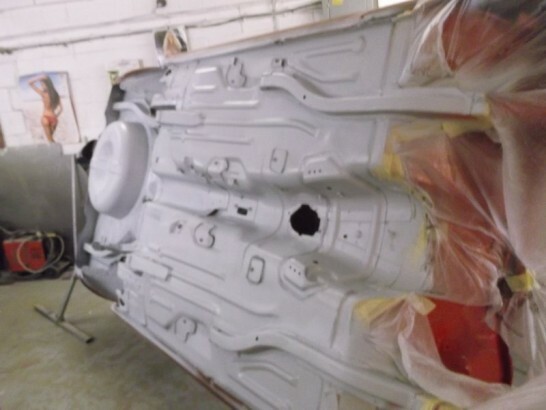 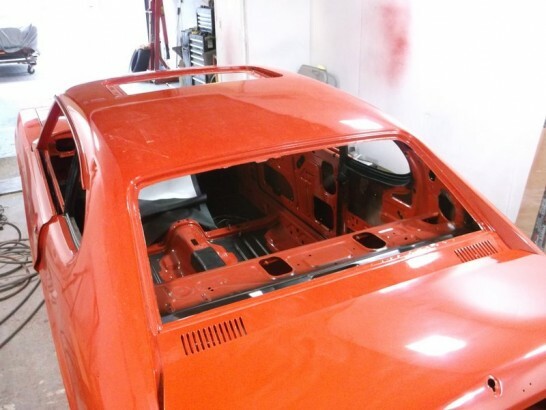 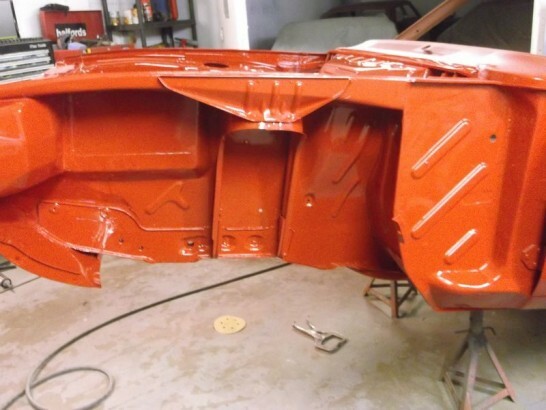 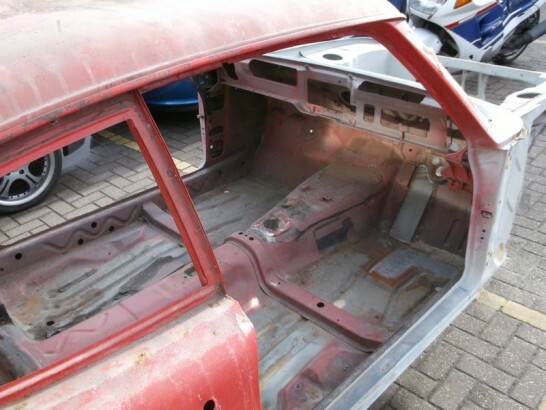 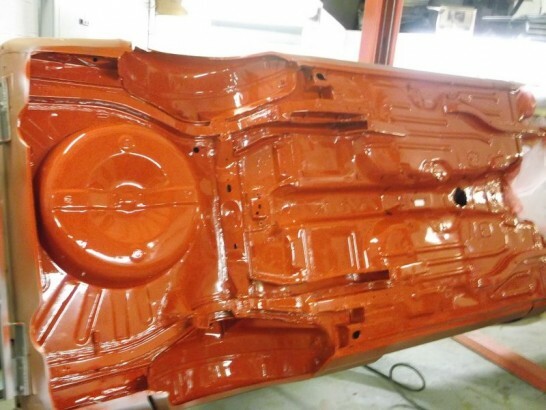 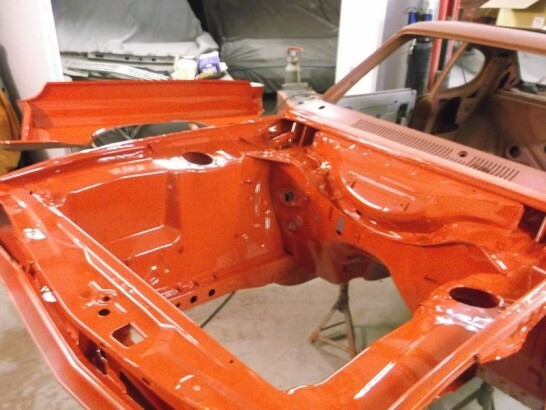 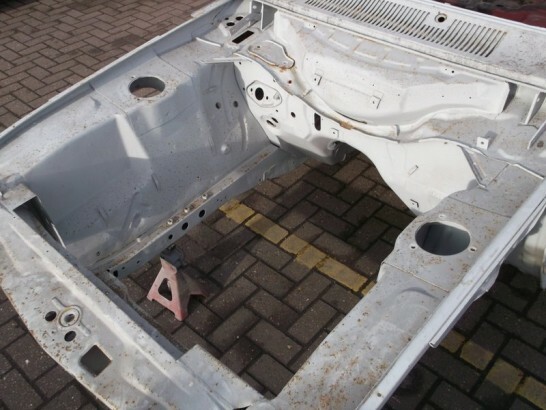 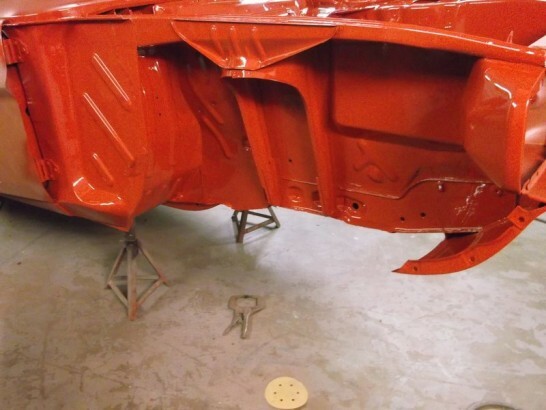 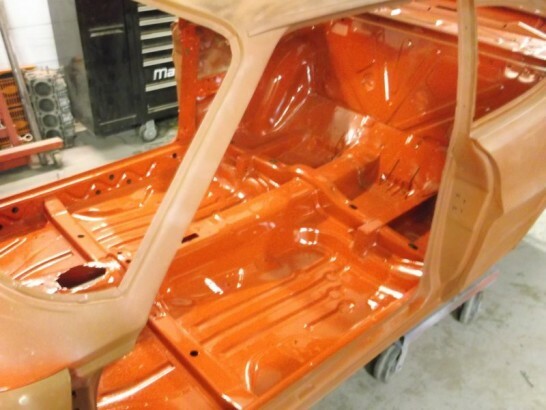 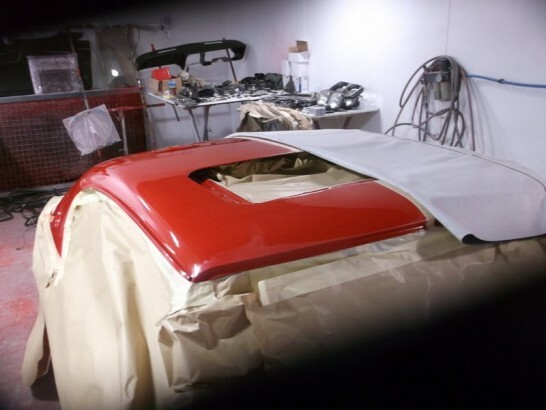 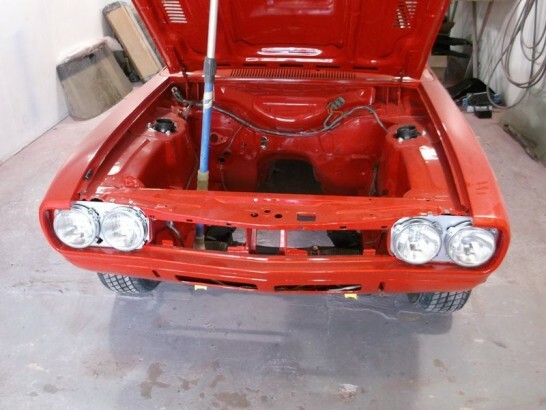 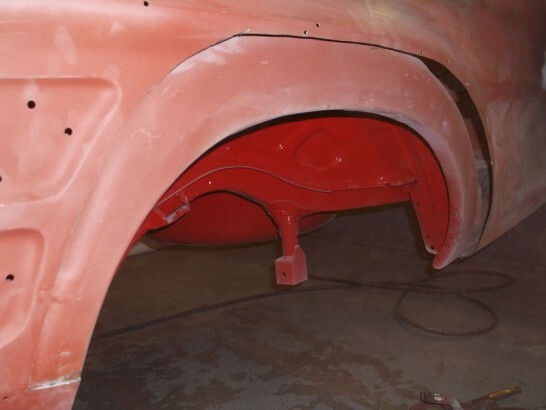 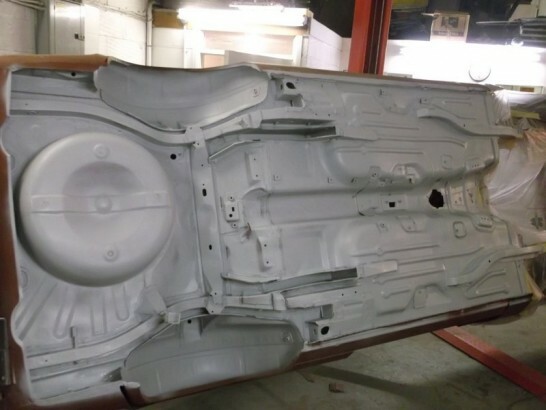 On its return the shell was coated inside and out with a zinc primer to protect the metalwork whilst the repairs were completed, as we suspected the shell of the Capri is in excellent condition and will only require a few repairs as well as the new wings and front valance. 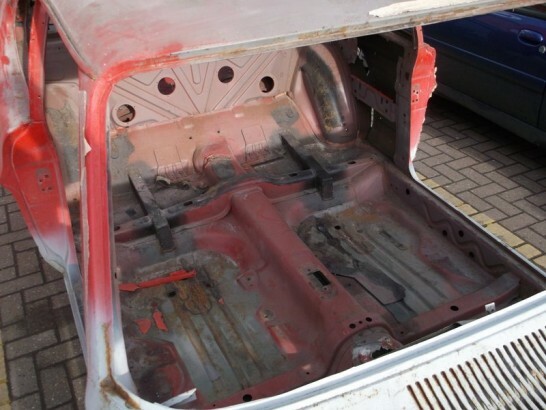 With the repairs completed the next stage is to paint the underside of the shell, the engine bay and inner wings. 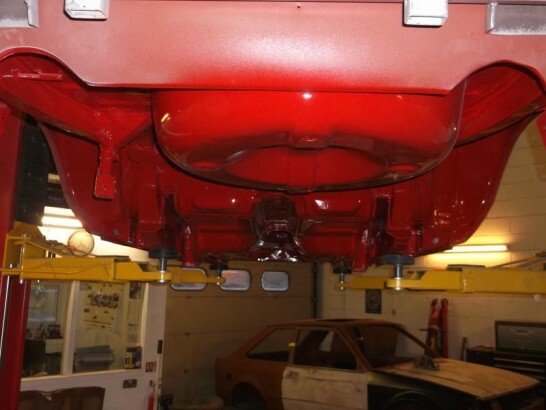 Primed and sealed the underside is ready for a good coating of the Super speeds original Sunset red. 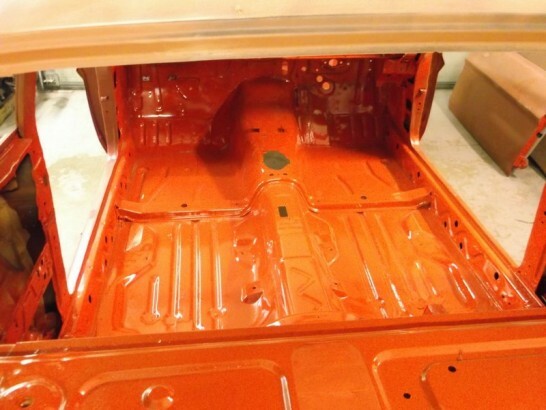 With the underside finished, the inside of the shell is given the same treatment. 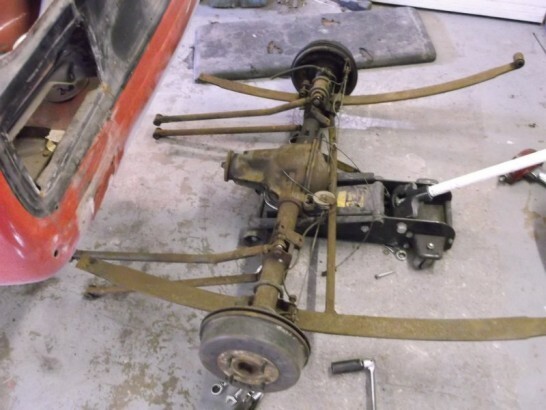 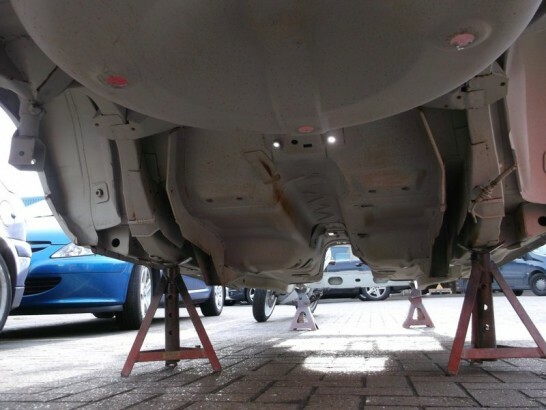 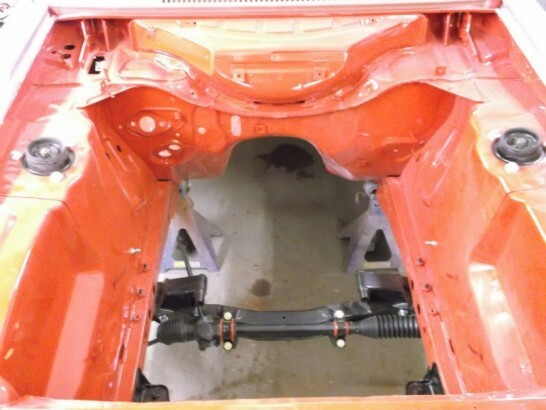 With the underside and the inside completed we now need to assemble the suspension and fit to the shell so we can check the clearances of the wheels and tyres before the outside of the capri can be prepped and painted. 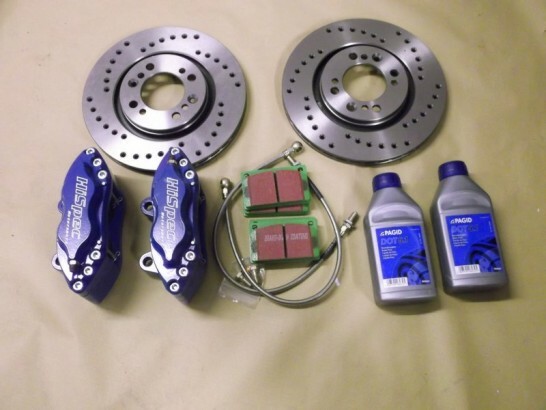 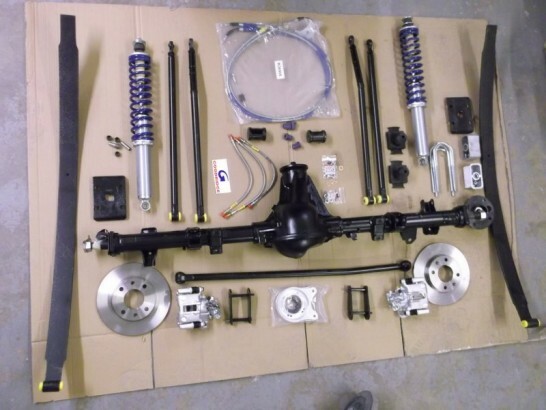 As the engine will be running 300 to 400bhp the suspension and brakes are to be upgraded to cope with the power; these include a coil over conversion for the Bilstein front legs, bilitted Hi-Spec brakes with green stuff pads and roller bearing top mounts. 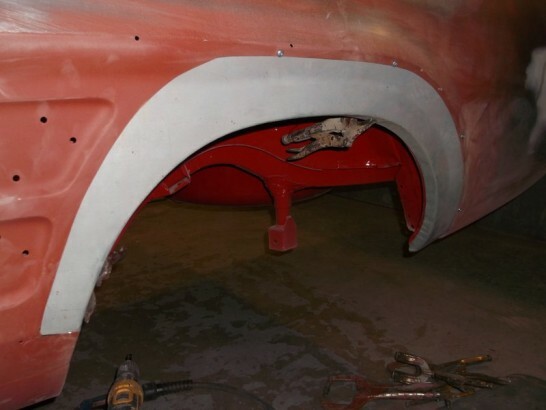 A new rear arch section needed to be grafted in as one of the few repairs that the Super speed required. 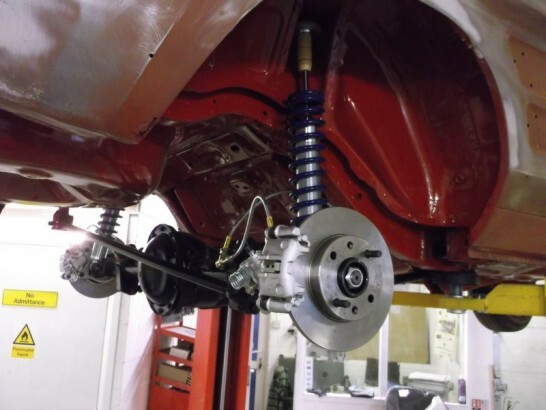 To handle the power, Tran-x half shafts and diff were purchased for the axle, these then required machining to fit the shorter Mk1 Atlas axle. 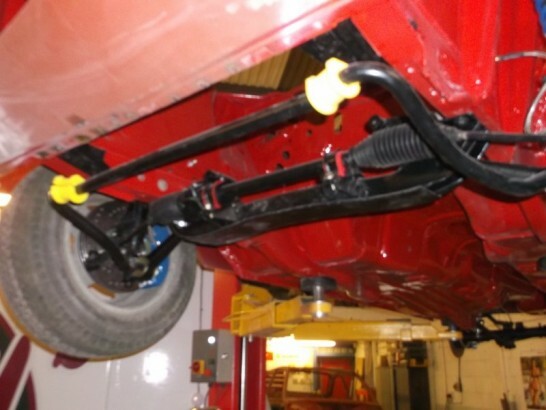 The Super speed came fitted with a five link kit and a pair of slipper leafs springs, these have all been blasted and powder coated before being re-bushed with poly bushes prior to refitting. 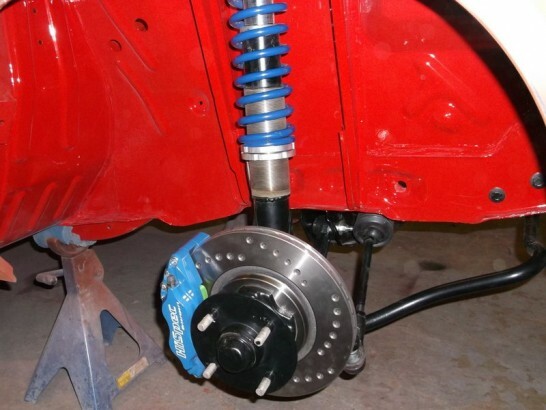 A set of rear bilstein coils overs were sourced to match the front legs and a rear disc conversion will also be added. 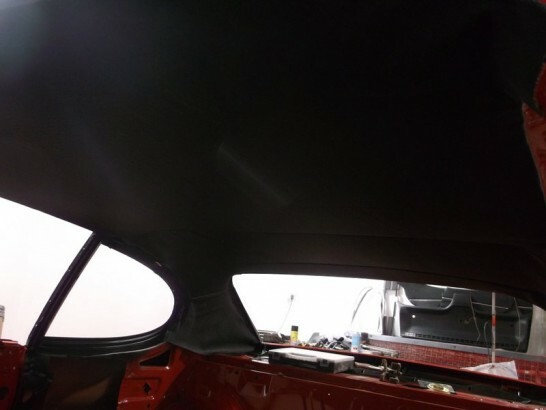 With all the running gear in place and adjusted the arch clearances checked and altered the preperations for the rest of the shell can be completed. 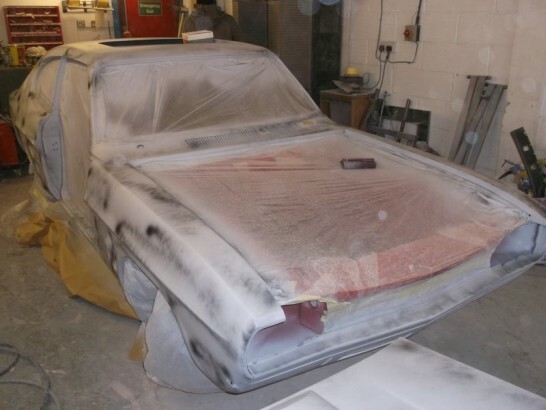 Primed, flatted, masked and ready for its respray. 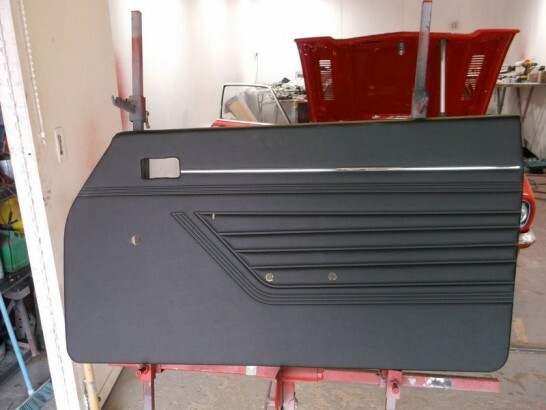 With the paint applied and flat and polished, the next stage is to apply the satin black to the rear panel, sills, windows surrounds etc. 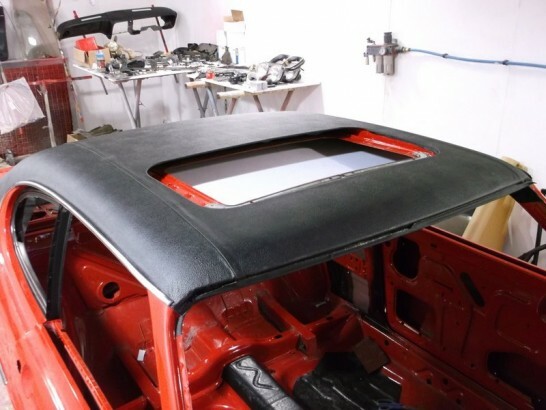 The sound deadening pads are tailored to fit and applied as per the original items. 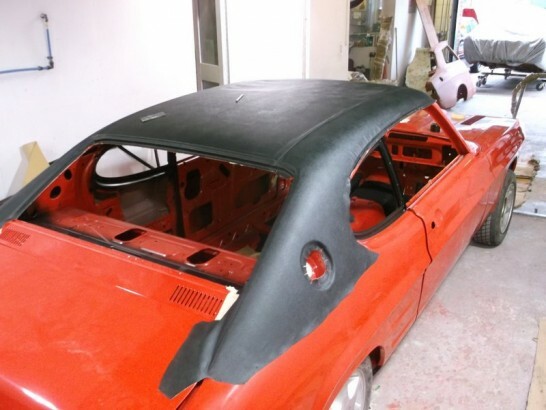 The new vinyl roof is the next stage of the refit along with the accompaning chrome trims. 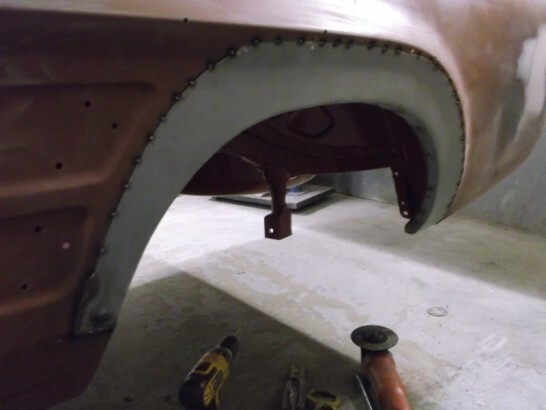 A new headlining from Alldridge trimming is the next stage . 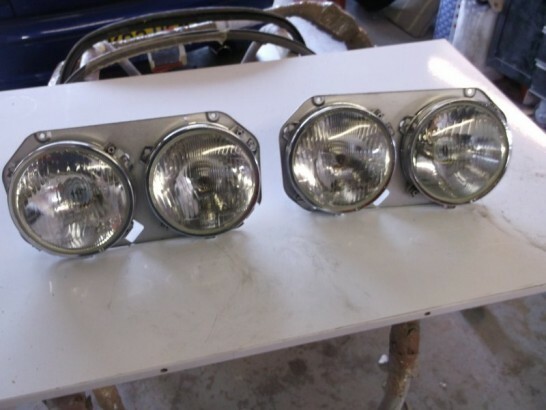 A new set of lamp units were sourced and fitted into the refurbished backings and bezels. 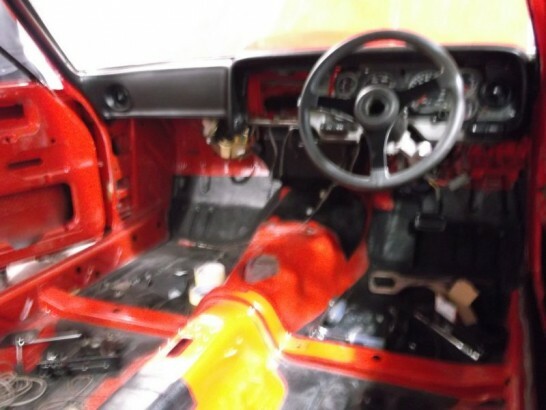 Some new OE spec insulating tape was purchased and the loom re taped. 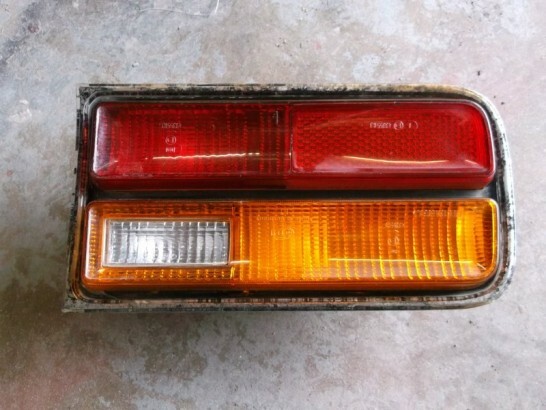 As new rear light units are extremely hard to find and expensive the old units will be revamped for now. 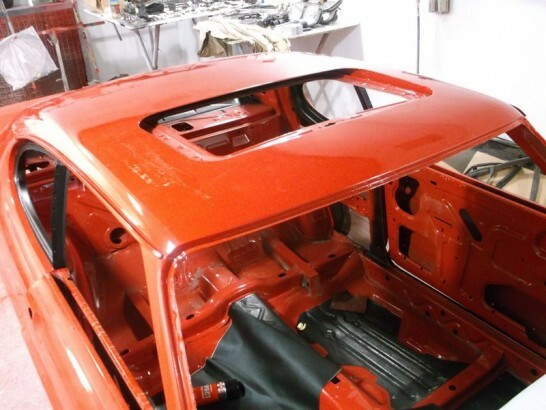 Some new door cards from Alldridge will replace the warped original items, these are excellent copies and fit like the originals. 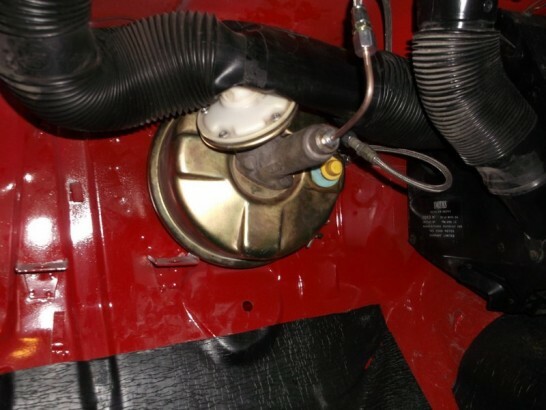 Due to restricted space in the engine bay we have mounted a remote servo in the passenger foot well behind the modified glove box. 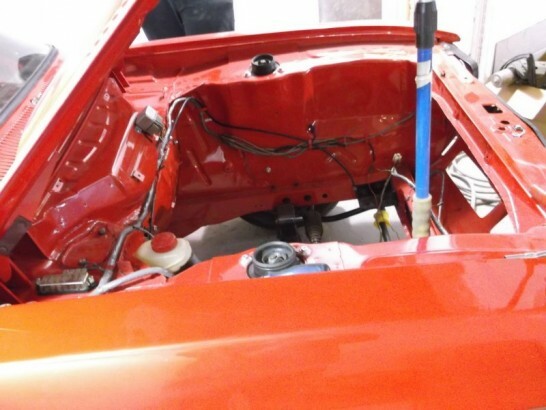 With all the external trim and interior fitted the Super speed will make its debut at the Classic ford show at Santa Pod unfortunatly the engine is still under construction so the Super Speed wont make it on to the Classic Fords unveiling stand as originally planned. 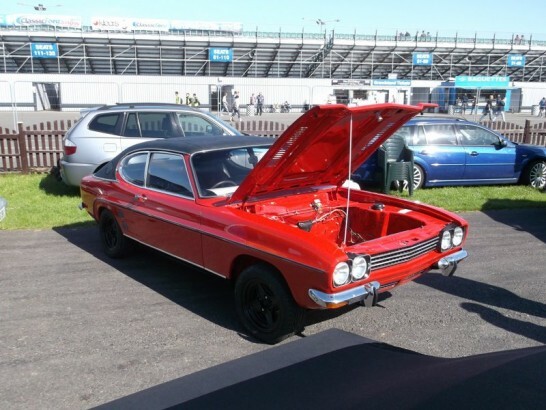 As the capri couldn’t make the Unveiling stand we decided to show it on our Stand on the day. 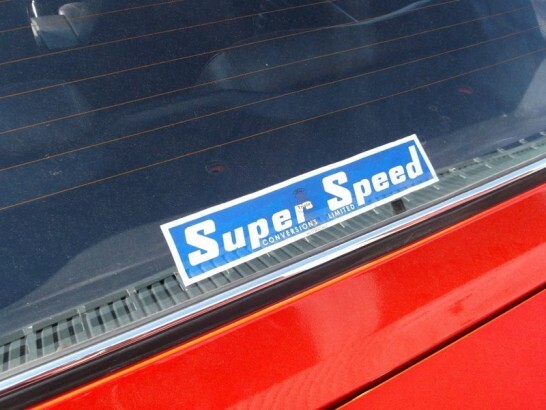 The Super speed was originally featured in Street Machine back in the 80’s and spent quite a few years being street raced and dragged raced at Santa pod.